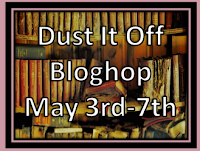 I think this is the most important post out of the three for this Dust It Off bloghop. If you missed it, Day 1 and 2 were sharing our shelved project's short pitch and a 300-350 word excerpt. Today I get to talk about what I learned. Writing Shadow Watchers (my first book) changed my life. I feel like I've lived the whole writer's cycle with this one book. And I want to share a bit of my journey with this story. Not too many authors are open/blunt about querying and rejection, but I want to be. It was never an option to "fail" while querying Shadows. I was convinced I'd get an agent. The amount of requests I got was sick. The total was up to 28 full requests... a lot of them partials upgraded to fulls. Even had one agent tell me my opening chapter was one of the best she'd ever received. (I don't say this in a cocky way at all, I'm only trying to convey how hard it is to have your hopes so high only to fall and have them dashed) So each time I thought, "This will be the one. The one agent that will want to take me on." So I learned how to face rejection. Learned that I am a small fish in a very, VERY big pond. It was hard (very, very, VERY hard). So much so that I never wanted to write again. What was the point when it hurt this bad? Because of rejection, I took a step back and was more determined than ever to find out what was wrong. Combining the advice I received from agents, I knew it was a pacing thing. I think three whole books were shoved into one, and I needed to learn how to space things out. How to focus on character. Not be so plot driven. It's not just about being a good writer. There are soooo many other factors that make a story exceptional. So I dove into my next book with those thoughts in mind. Have I done it this time around? Not sure. But we'll see if I've done a good enough job. If not, I know my next book will be better. And the next. So what have I learned? Everything that matters right now in my writing life. I've learned how to balance my writing obsession, I've learned how to face rejection head on, and I've learned how to improve and persevere regardless. In a strange way, I think I owe it to my first novel to keep going. So someday I can rewrite it and let the characters in my first book shine like I know they deserve to shine. Phew! Are you still here? If so, to sum up, I think everyone needs a first novel. Whether it's successful or not. Because regardless of what stage you are in with the writing game, you're going to have to face all of the emotional ups and downs that come with being brave enough to call yourself a writer. Thanks Theresa and Cortney for putting this awesome hop together! That's dedication! I believe you are already a success story, and I know that soon, all of your hard work will pay off! Great post, and cool blog hop! Definitely, you have to start somewhere, and for some people their first novel may never see the light of day, but it's the practice from writing it that will make your next book publishable! Wow. 4 kids under age 6. Can see why you had to get up at 3am. Thanks for the reminder to not quit. It's hard to think that this could take so many years... just to get an agent. But as long as I have the material, I'll keep trying too. Wow Morgan, you certainly boast some high figures there! I haven't even tried - can't really say why. Had no idea how to query, did not even know what a query was, until I started talking to this circle of writers in the Blogasphere! I just took the easy way and published Indie! In a way, I suppose I am chicken! Wow. Amazing dedication! How did you function on such little sleep? I have one kid who's two and I'm ready to fall asleep when he goes down at night, and I need a whole night's sleep just to keep up with him the next day. You're a great inspiration to mom writers. :) Good lessons learned. Good luck! sweet beginnings! i hate the stat that most have to write several! novels before getting an agent! There is no way I would get up that early but some of us have more passion then others. 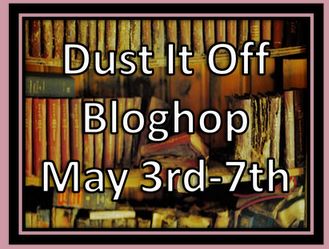 I loved what you featured in this bloghop! Thanks for sharing it with us! Ugh, you SO need to go back to Shadow Watchers! I agree with you on rejections. If you keep writing, keep trying, it will happen! You're so amazing, Morg!! Yeah, my first novel was ... amazing(ly bad). Reading it now, it's obvious all the things that I was doing wrong. But now that I'm on number 4, I can see that clearer. 27 requests though, that's awesome! Your chance is coming very very soon. I can feel it! Wow, what a story! You have such a great attitude about your experience, and I know it will pay off for you soon! Wow, I love your dedication to that story, I could not imagine waking up at 3am every morning. I totally see what you mean about the first novel. I never queried mine, because to me it wasn't good enough for that. But I have it, and it is safely tucked away, so that one day I can make it good enough. 27 requests?! I will sing to the birds if I even get half as much :D I think all of the lessons you've learned though are only going to serve you in the long run. Good for you! I can't imagine waking up that early to write, though I do go the other direction and stay up too late to write. Querying, and the responses to it, can definitely teach us important lessons about writing and what we're doing right or wrong. For example, I now realize I probably didn't get many requests for the book I was querying last spring because I was misclassifying it, writing too much or too little, and not focusing on high stakes when it was a long saga and not a short piece of genre fiction. That's amazing and now I really want to read your first book! Did you self-publish it or are you chalking it up to experience and writing lessons? Wow, 27 full requests with no offer. That hurts me and I'm only reading about it. Still, think of the positives. They like your writing! They like you, that project just wasn't right. I don't mean that in a cop out way either. Good luck with your current querying. I hope I have the strength you do when it's my turn this summer. I'm SO with you. I got LOADS of requests on my first YA paranormal. Many turned into r and r, but it wasn't the book to get me an agent. Now that I'm at the next step, I've had SEVERAL editors at pub houses I cut a finger off to pub with say - yep. I love it. I'm taking it my meeting, only... they didn't pick it up. The thing is - just like that first MS opened doors for you, and opened dialogue with agents, I'm HOPING my first book that went (and is still) on sub has opened some doors for me. That's really weird that you didn't get an agent off of all of those full requests. I'm kind of stunned by that. I hope you get success soon Morgan because you are one of the most deserving people I know. You are so talented. And I think you will be the next big thing. Yay. You, my dear, are my inspiration. I know that it will have for you some day!!! But you are so right that we all need that 1st novel. And most of us a second. LOL. But I've learn SO much from each 1st chapter I start. Great post! I wish you the best with this next novel! I've learned never give up. Keep writing stories because you get better with each one. But you do have to figure out what your weaknesses are and try to strength them. If you only keep writing, you'll never get there. Oh my gosh, YES! The lessons we learn while querying are priceless. Seriously. I'm glad you're still writing. I can't wait to see where your hard work and determination take you. You're going somewhere, kid! It's so important to consistently grow as a writer. If writing and getting published was easy, everyone would do it! Kudos to you for being strong enough to start again and keep working at it! I read all of your dust it offs and am just responding here. Wow, Morgan, your hook is AH-mazing! And to have that much interest in it... you've got to get back to it one day! I so totally agree! My first novel taught me so much. (And I'm finally to the point to where I now get to re-write it as part of a series, so waiting really did pay off). Great post! Most firsties die on the page, in a crit group or on the hard drive. Yours made it out into the wild and got a ton of traction to boot. Lady! That. Is. Success. No, not on the level you want or expect, but success nonetheless. I hate that type of success by the way. It's like the bronze medal of life ... It's MOM success. But it is success. The point is, you have zero reason to ever believe you can't do this. In fact, you ARE doing this. THIS is what writers do: They write. They know they can do better. They're TOLD they can do better. They re-write. They TRY to do better. They get better. Rinse. Repeat. And I totally agree. We need that first book (or second) to learn from. Great post! I love what my Publication Primer leader said both in that class and his class on voice/style. We mature as writers. And the only way to do that is to do a lot of writing. Personally, I find that encouraging. Thank you for sharing your experience. You have talent, no question. I agree with the blogger who said it's a matter of when, not if. I don't know how I will take rejection, but I've taken all the suggestions from my readers (you included), and I'm reworking everything before I send it out. I was wondering when other writers found time to write. 3 AM? Wow, that's dedication. I'm not a morning person, so I've been neglecting laundry, dishes, the house, the kids, the pets, the husband-I think you get the picture! Must get this done so life can return to normal! Hey Morgan.. your story here inspired me to try the uber-early writing, so I gave you a shout out on my blog from last night. Check it out at on my blog. Thanks for being a rock-star! I love your blog, and would absolutely love to read more Shadow Watchers or just any more of your writing that you create. Even if one novel doesn't get published it is a learning block to the next one that will. Best wishes on your journey. I wish I had your dedication.. right now it feels so hard to write for more than an hour even though I love it. First novels are where we cut our teeth, but you certainly did that in style with 27 full requests! That is an amazing achievement in itself. I'm sure it's just a matter of time for you. And your dedication is amazing - I wrote a few A-Z posts at 5am of the day they were published and that felt like a stretch!! Thanks for sharing this Morgan. It makes me feel better about what I'm going through with my (first) novel.